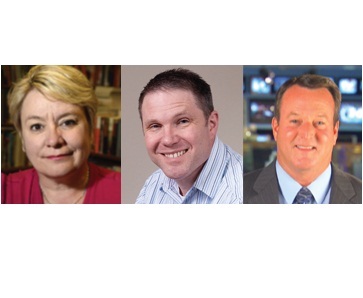 Register now for our December media panel breakfast! 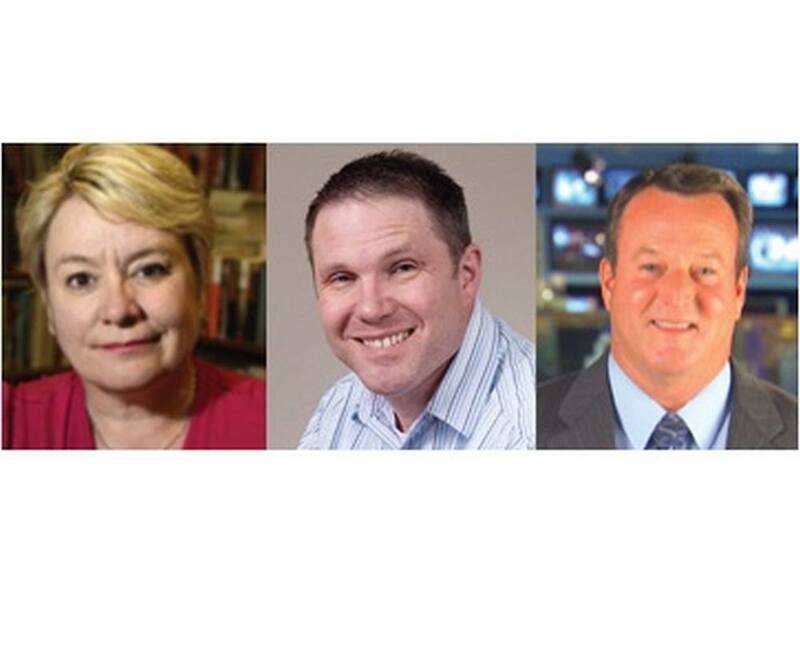 Our panel will discuss the right ways and the wrong ways to work with the media, from pitching them correctly to understanding why your story or issue did or didn't get covered. Help us support Toys for Tots at the December meeting by bringing new, unwrapped toys for children in our community. Two Marines will join us to talk about the program and collect our donations. You may also donate cash if you prefer. This is your chance to help bring a little joy to a child this holiday season! MarCom’s Annual workshop is Feb. 6 from 7:00 am to 11:00 am at The Lincoln Center. Mark your calendars for Thursday, Feb. 6. Stay tuned for registration information. Hi Ho, Spokane MarCom here! We are off to a great start for our programming year! We have one more meeting before the New Year, our February Professional Development Workshop is coming up and the 2014 Spark Awards this April. Exciting stuff! As we go into our December meeting, we would like to take the opportunity to thank the membership for their participation. We know there are a ton of events around town to attend so having you pick MarCom means a lot! We love our members so much it’s hard for us to have to address the elephant in the room. Meeting attendance. We get so excited when we see our RSVP numbers climb before our breakfast meetings. (Seriously, Kevin Dudley is like a kid in a candy store when he checks registrations!). So when we have people say they’re coming and don’t show up, it makes us sad while also impacting our bottom line. If you RSVP – whether you pre-pay or not – that signals to us a commitment that you’re coming. We plan for your attendance and make sure the amount of food & accommodations matches the RSVP list. Imagine hosting a party and only half your guest list shows up. Kind of a bummer, right? When our expenses aren’t covered by the meeting fees we collect, we have to dip into our reserves. That ultimately impacts our ability to fund our Internship Program. Plans change, things come up and sometimes you just can’t make it to our meetings. We get it. We want to serve the membership as best we can. And having you participate on a regular basis lets us succeed in that. So join us December 6th for the next meeting. While you’re there, tweet about what is presented (#SpoMarCom as always), check in on Facebook to let your stalkers colleagues know where you are, have some questions ready for our Q&A portion and be sure to fill out our survey following the event to let us know in more detail what you liked and how we can improve. We are here for you. Let’s work together to continue to have the premiere professional development organization in the region! Hopefully you read the headline with your best Joey Tribbiani impersonation. You know the line. It was said in many different ways; sly, silly, seductive and it always ended with a smile. And the one who was on the receiving end of a good “How you doin’?” always felt like they were the center of Joey’s world. What does that have to do with the media-spokesperson relationship? We all want to get the best coverage for our companies. It’s a key expectation of our jobs to work with the media for exposure. And luckily for us, reporters are always looking for the next story as each deadline looms. But there are more of us than there are of them. So we end up competing against each other for the same three minute segment during the local news or the same three column spread on the front page of the newspaper. The craziness of a reporter’s day starts early and ends late. When you call up or send over a press release wanting them to cover you, it adds to that craziness. That doesn’t mean they don’t want to hear from us. Reporters got 99 problems but a story pitch ain’t one. So you’re probably wondering why they ran someone else’s story when CLEARLY your pitch was way more interesting. Maybe it was because they were a better Joey Tribbiani. Let me explain. Reporters like to work with people who make their job easier. It’s the nature of their world. They are pulled in all different directions so having to cater to a needy source doesn’t work for them. If they interpret your pitch as “OMG, you need to cover this for story for me because it’s so amazing and we are such an amazing company and we need to have everyone know about us!” they will run away faster than King Arthur and the Knights of the Round Table. Not that you’re making your pitches sound like this, but when the reporter is being bombarded, it can end up feeling that way. Instead, why not try “How you doin’?” to make them want to work with you? Now, I don’t mean use “How you doin’?” to pick-up a reporter the way Joey uses it to pick-up chicks. This isn’t OKCupid. I’m saying make the reporter feel like they are the center of your world and you would do anything to help them get a great story. Are you an expert in small business marketing and saw a TV segment highlighting local businesses struggling with low sales? Contact the reporter and let them know you are available to go on camera with three tips that will help those local businesses bring in more customers. By being a go-to expert, you just made it easier on the reporter to fill an additional 30-45 seconds of his follow up segment and you’re in his phone for the next time he needs commentary. Is there an article in the paper talking about a devastating storm that has left people homeless? Pitch to the paper a “piggyback” story about donation scams that popup after a disaster. Your expertise will provide a follow up story that can be used online or the next day to help supplement the original story. Looking for great press with a pre-planned event? Make sure your press release is pristine, to the point and filled with key facts the reporter can use to write the story (hit all 5 W’s with your info!). Send it out ahead of time also so that they can add it to their schedule. If you plan to be on camera, be authentic with brief talking points ready. Copy what the reporter says when you reply to their question; they are framing the story so fill in the key points. Will this get you on air every time? No. I’m good but I’m not a miracle worker! But the more accessible you make yourself, the more polished you are and the more reliable, the more the reporters will want to work with you versus someone else. Ninety percent of what makes it on air or in print is meh. Strive to be more than meh and you’ll stand out from the crowd! When you think of the Union Gospel Mission, chances are you think of meals and shelter for the homeless, and that’s a good start. For over 62 years, UGM has been providing for the physical needs of people in crisis, but over the years, we’ve expanded our services to address the underlying causes of homelessness and addiction, as well. Our goal is to bring healing to the whole person – body, mind and soul – by providing education, medical care, counseling, job training, parenting classes, case management and more. Currently, UGM is serving 1,000 meals a day and providing shelter to over 300 people each night. Over 100 men, women and children are engaged in our long-term recovery programs, and 504 low-income children attended camp last summer. UGM encompasses four shelters, two thrift stores, an automotive enterprise, and a camp for underprivileged youth. For more information, please visit our website: www.uniongospelmission.org.